For centuries, the faithful of Russia have honored Sts. Peter and Fevronia as patrons of honorable marriage. A few years ago the Day of Family, Love and Fidelity, in honor of Orthodox family life, was established, fittingly acknowledging these righteous saints as protectors. On this day, special petitions for the preservation of Orthodox marriage are included in the Liturgy and a special prayer, invoking the intercession of Sts. 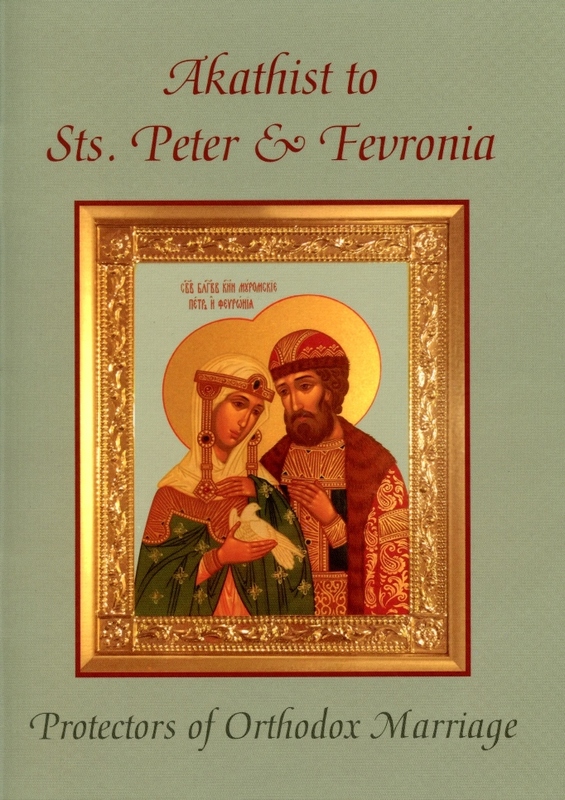 Peter and Fevronia, is said at the conclusion of the service. (This prayer is included at the end of the Akathist, in this publication.) This pocket-sized, user-friendly edition is printed on glossy paper, just as the others in the Series. Both cover and inner pages are in full color, including several icons of the saints.